Here’s a collection of some of the songs I listened to while writing Just Breathe. I tend to find songs that remind me of each character. Enjoy! Congrats to yesterday’s winner, selected by www.random.org –Miz White Roses herself, Darla! A copy of Just Breathe and one of Love in Bloom will be winging their way to you soon. I loved everyone’s input about favorite flowers. Amy gets the prize for funniest comment. 🙂 And I think it’s so touching that our faves are almost always tied to an emotional memory. Mine are peonies, thanks to a childhood memory of cutting them in the yard with my mom to make a bouquet for my teacher. The petals were always wet with the rain and we’d have to shake them off. There were always a few ants on board but they were the harmless black variety. Or…wait! Lily of the Valley, my birthday flower! Smells so good I get high! And OMG nightshade! I need to stop now. I still have pages to write before quittin’ time. I’m doing another drawing tomorrow. Post a song recommendation in the comments. I know music choice is tricky, so personal and such a matter of taste. But I’m always open to hearing new artists. Help us discover someone new! And you might win the drawing–a signed copy of Just Breathe and a two-pack of Heath and Reese’s popcorn. What’s sweeter than that? We have a winner! Thanks to www.random.org, it’s Judy H! Judy gets the book & the aromatherapy bath stuff. Ahhh! I loved everyone’s replies. Next givaway question–let us know your favorite flower in the Comments. The prize is fabulous! You get a signed copy of Love In Bloom by the incomparable Sheila Roberts, and of course a signed Just Breathe. It’s out! Just Breathe is out in paperback and I’m so excited. All month long, I’ll be giving away cool stuff to people who comment on this blog–copies of the book of course. And things to pamper yourself with. And books by my friends, and ARCs (advance reading copies) of books I’ve been sent for endorsement. So check in early and often, readers! Here’s my sophomore attempt at a musical slideshow. The images are from a magical trip we took to the Point Reyes National Seashore for our 25th wedding anniversary. Enjoy! Today’s drawing question–Where in the world do you go to just breathe? I’ll pick the winner using www.random.org. Today’s prize–a copy of Just Breathe and a sweet basket of ginger white tea bath & body products. Perfect for reading in the tub! From Jane Eyre by Charlotte Bronte. If you don’t burst into tears when you get to that line, you’re made of stone. Can you tell I have a taste for melodrama? Your turn–what’s your favorite line from a book? Book you most want to read again for the first time: The Ginger Man by J.P. Donleavy. I sneaked my mother’s copy and read it with my jaw on the floor. A story of a naughty man doing naughty things, told with such originality and playfulness with the language that I feel like reading it again right now. What book would you like to read for the first time again? I spent a whole week's allowance on it. Book that changed your life: Yertle the Turtle by Dr. Seuss. It was the first book I bought with my own money, and it contained one of my earliest writing lessons—go big or go home. At age 7, I had no idea the subtext was meant to be a condemnation of fascism. I’m feeling relevant today. As some of you might remember, I got in big trouble for a major plotline in Fireside–the one about a Latino boy whose mother’s immigration status is uncertain. Regardless of my Amazon one-star-bomber’s opinion, such situations do exist in this country. For some, it’s a prison. A limbo. 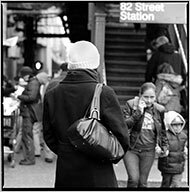 This installment in the New York Times’s series talks about families of mixed status. It’s bound to infuriate some readers, frustrate others and sadden most of us. The storyline worked out in my novel. In real life, it’s more of a mess. The Shelf Awareness Book Brahmin feature asked me to name a book I’ve bought for the cover. 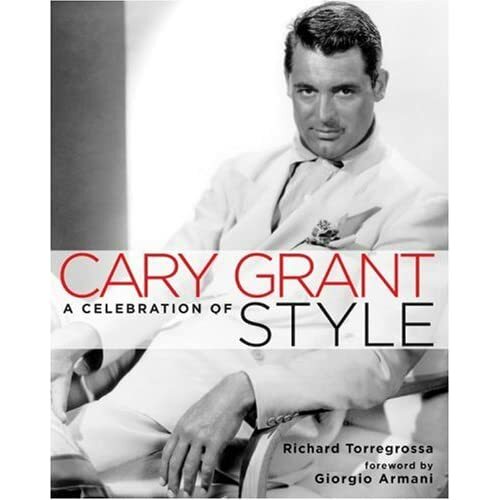 Cary Grant: A Celebration of Style by Richard Torregrossa. I’m staring at it right now. Come on, people. I really don’t need to spell it out for you, do I? Your turn! What book cover has grabbed your eye in the bookstore?